Michael D. Mendoza, M.D., M.P.H. 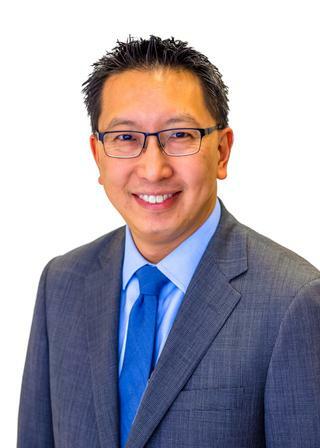 Dr. Michael Mendoza is Commissioner of Public Health for Monroe County, NY and Associate Professor in the Departments of Family Medicine, Public Health Sciences, and Nursing at the University of Rochester School of Medicine and Dentistry. Dr. Mendoza joined the faculty at the University of Rochester in 2009 and was appointed to serve as Medical Director at Highland Family Medicine, one of the largest family medicine residency teaching practices in the country. In the following seven years, Dr. Mendoza led the practice through unprecedented growth and change. Under his oversight, Highland Family Medicine has become recognized as a local and national innovator in team-based care and interprofessional practice and education. As Commissioner of Public Health, Dr. Mendoza oversees the Monroe County Health Department comprised of a diverse array of health promotion and disease preparedness efforts serving the residents of Monroe County, NY. Dr. Mendoza aims to improve population health through collaborative innovations in primary healthcare delivery and public health practice. His clinical practice emphasizes evidence-based care, chronic illness prevention and management, and the integration of behavioral health in primary care. As an advocate for public health, Dr. Mendoza seeks to bridge the academic and clinical rigor with the strengths of long-standing community assets and partnerships. Dr. Mendoza is a recognized educator and writer. He was named "Teacher of the Year" by the Illinois Academy of Family Physicians and has authored or co-authored numerous peer-reviewed journal articles and book chapters. His scholarly interests include studying and implementing practice-based innovations that promote quality and patient safety in underserved clinical settings, and capacity development for the primary care and public health workforce. His prior research focused on pay-for-performance incentive programs in underserved settings and the effects of community-based faculty development on the quality of medical student education. He is a Fellow of the American Academy of Family Physicians and has held leadership roles in the Society of Teachers of Family Medicine and the New York State Academy of Family Physicians, and he is a member of the Board of Directors of several local community-based organizations. Originally from Chicago, IL, Dr. Mendoza received his undergraduate and medical degrees from The University of Chicago. He received his Masters Degree in Public Health from The University of Illinois - Chicago, and he obtained his Masters Degree in Business Administration from the Simon Business School at the University of Rochester. He completed his residency training in Family and Community Medicine at the University of California - San Francisco, and served an additional year as Chief Resident. He completed a Fellowship Program in Resident Teaching at UCSF and the Certificate Program in Biomedical Informatics at the Oregon Health and Science University. In his spare time, Dr. Mendoza enjoys running, cycling, cooking, and photography. Young J, Mendoza M. "Parkinson's disease: A treatment guide." The Journal of family practice.. 2018 May 0; 67(5):276;279;284;286. Wittink MN, Walsh P, Yilmaz S, Mendoza M, Street RL, Chapman BP, Duberstein P. "Patient priorities and the doorknob phenomenon in primary care: Can technology improve disclosure of patient stressors?" Patient education and counseling.. 2018 Feb 0; 101(2):214-220. Epub 2017 Aug 08. Bedard BA; Younge M; Pettit PA; Mendoza M. "Using Telemedicine for Tuberculosis Care Management: a Three County Inter-Municipal Approach". J Med Syst. 2017; 42(1): 12.